Nonito Donaire captured the ‘Super’ WBA belt from former champion Ryan Burnett this weekend but not in the circumstances that anyone wanted to see in truth. Donaire and Burnett were shaping up to be having an interesting fight with Donaire loading up and swinging big bombs and Burnett appearing to box and get into his groove quite well as the fight progressed early on. When throwing a right hook, Burnett suffered a debilitating back injury which caused the fight to be called off shortly after – giving Donaire the win in very unfortunate circumstances. 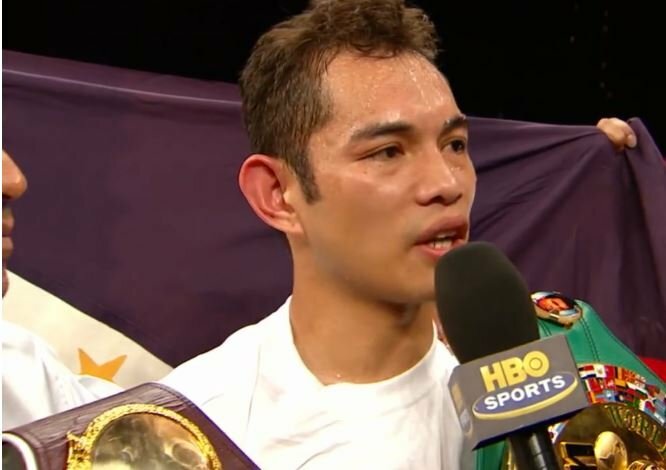 A class act as always, Nonito Donaire. He now moves onto fight Zolani Tete in the next round in what promoter Kalle Sauerland is possibly thinking of staging in Manila. An iconic part of the world in boxing terms having staged the great ‘Thrila in Manilla’ all those years ago in the Philipines between Muhammad Ali and Joe Frazier.